Bluesman Johnny Beaudine and his band ‪#DeepBlue‬ at the House Of Jazz rank among the very best to see and do in ‪#‎Montreal‬ "
Let the good times roll every Monday! 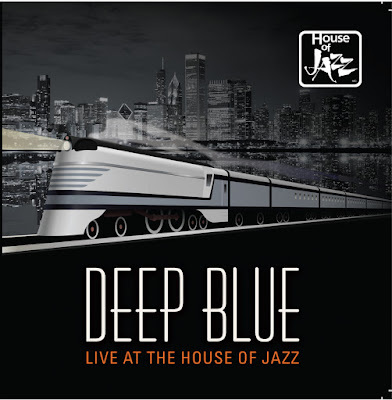 Party with us at "The House" and catch Deep Blue playing hard driving Chicago style jazz and blues with touches of New Orleans. A blend of jazz, blues and soul that's perfect for spicing up your Mondays. "We come to play" is our motto and we'll be pushing the envelope, so drop by and join us. You won't regret it! Deep Blue fields one of the best teams in blues and jazz. An all-star band with Peter Mika, Johnny Beaudine, James Challenger, Jeff Simons! Music professors from McGill and Concordia universities send their students to listen to Deep Blue as part of their course work. "We come to play". That motto comes from an article written about Chicago musicians. "They don't so much let their hair down as much as they never put it up, they come to play not to pose." Although not everyone in the band is from Chicago, that spirit pervades Deep Blue and all we do as a group. On our Mondays we get a great audience coming from all over the world. We've had fans from Vancouver, Miami, Ireland, Iceland, China, Japan, Korea, Paris and die-hard jazz fans from New York City. We've gotten fans from my hometown, Chicago, and a groups of Brazilians grooving to the music. Over our Mondays we've added Singapore, Germany, Belgium and Turkey, Switzerland, New Zealand and Australia to our list of international fans. Last Monday they were dancing in the aisles. 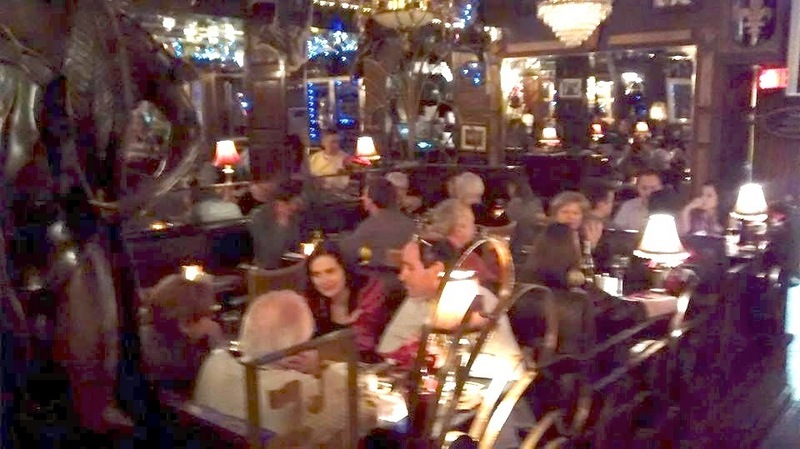 The Deep Blue Band is very proud to play for such an audience and proving that music unites the world. We've developed a style that cross pollinates Jazz, blues, soul and New Orleans funk. Here's some posts from our recent shows. "As I told you before, I am far from being a jazz fan. However, spending those nights filming at the House, I was exposed to different genres of jazz. I got to discover facets of it. I also want to thank you for the interview as you still took a few minutes of your break for me! By the way, I loved the diversity among your different songs. You manage to switch from smoother jazz to groovier jazz while still entertaining the audience no matter if a change in the type of jazz occurs. I have to admit the energy you and your group have on the stage is highly contagious!" Was at The House of Jazz on Aylmer tonight to see Johnny Beaudine and The Deep Blue band. Wow!! They were so amazing!!! I highly recommend you catch one of their shows. They usually perform there on Mondays. I can't wait to see them live again soon. Thanks guys for a fantastic evening!! Saw John Beaudine and his band Deep Blue last night. Excellent group and loved the music. The food was great too! My teacher, friend and mentor Joe Daley. Follow the link and read about an influential Jazz musician. Joe Daley was a Chicago Jazz Legend that taught a number of outstanding jazz musicians. Check this link, it's worth your time.